The Bank of Russia is reported to have carried out interventions to support the ruble as the Russian currency plummeted in value on Monday, according to Russian news agency Prime, with reference to traders. "Large lots were available with quotes significantly below the market level, which matches the behavior of a participant aiming at reducing the exchange rate,” said Sergiy Romanchuk, a trader from Metallinvestbank. 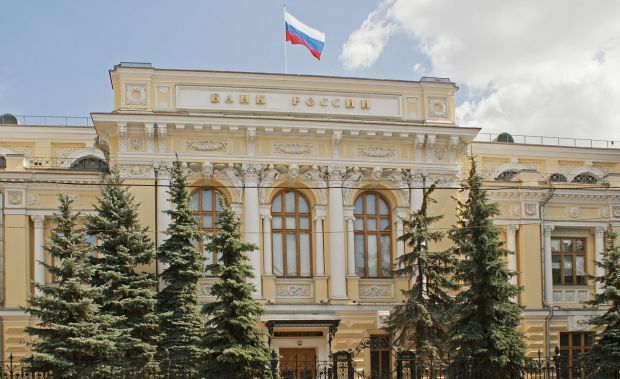 “It’s impossible to state with 100% certainty that it was the Bank of Russia, since such information is not public, but based on the bids made and the degree of excitement that prevailed in the market prior to these sales, it was most probably the Central Bank. " Deputy head of the analytical department of the bank "Zenit" Vladimir Evstifeev said the continued decline in oil prices further aggravates the negative prospects for Russian ruble. "Devaluation expectations are strengthening, while there are no other instruments except technical ones to stop weakening of the currency,” Evstifeev said. Senior trader at Globex Bank Igor Zelentsov said that only a stabilization of oil prices could support the ruble at the moment. All other factors, he said, appeared to him minor and insignificant. By 1500 the ruble had lost 1.81 against dollar, reaching a level of RUR 52.21 to the dollar, and weakened by 2.2 against euro, to RUR 65.1 to the euro. The currency basket has increased by 1.98 rubles to reach RUR 58. Earlier in the day the ruble sagged to RUR 53.95 to the dollar, and RUR 67.29 to the euro – which were new records.